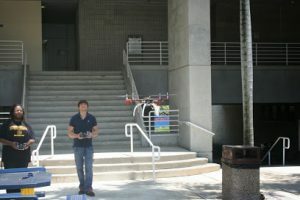 On Saturday, May 24, Dr. Jong-Hoon Kim and his staff were the main event of our final Burn Your Brain event of the semester. 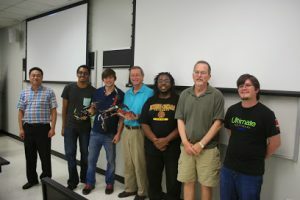 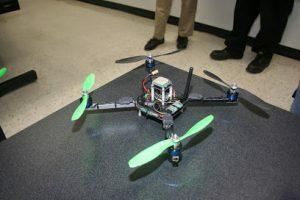 They presented the Discovery Lab’s QuadCopter project, showing the 25 attendees the technical ins and outs of building robotic flying devices. 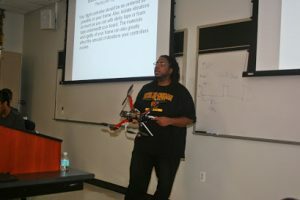 The students also learned how to write code to interpret realtime data from the same types of motion sensors used in robotic flying devices. 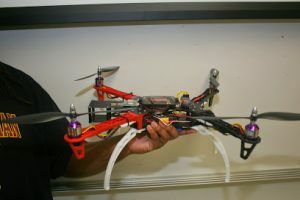 Kim was assisted by Deon Wilkins, Fernando Campo, and Jaime Acevedo from the Discovery Lab. 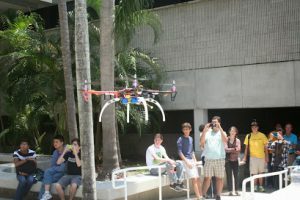 This was the 5th and final Burn Your Brain event of the semester, which has now reached approximately 120 computer students from Dade and Broward counties.